Glass front with turn button closures on back of both the display and flag case compartments. Available in CherryOr Oak. 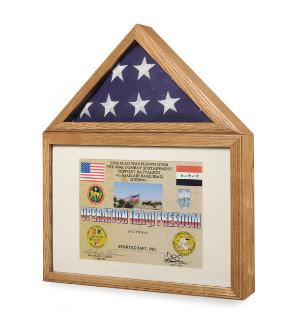 Create a perfect display for your 5� x 9.5� flag and accompanying certificate or medals. Ideal for storage of flags flown over the Capitol along with certificate.